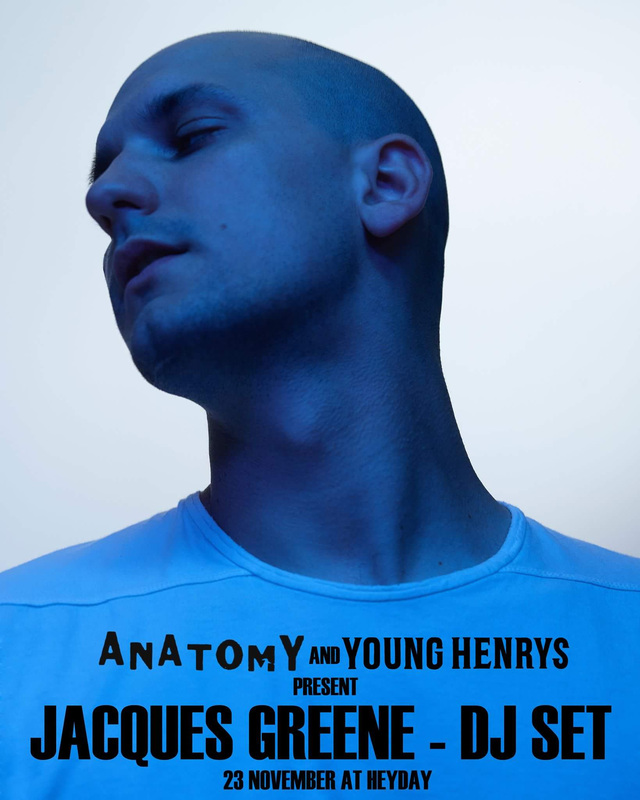 Young Henry’s is proud to bring Montreal (Canada) producer JACQUES GREENE (Canada) to party up in Heyday upstairs to celebrate end of uni exams. Renowned for collaborating and remixing with Radiohead, Flume, Frank Ocean, Tinashe, Sampha and Shlohmo, Jacques Greene broke out of a generation of independent electronic labels Uno, 3024, Night Slugs and LuckyMe as a genre-defining producer and DJ (via 2011’s ‘Another Girl’ – one of Pitchfork’s Songs of the Decade, 2013 favourite ‘On Your Side’ ft. How To Dress Well and 2016’s club anthem ‘You Can’t Deny’). In 2016, Jacques Greene released the surprise single ‘You Can’t Deny’ to acclaim, followed up with ‘Afterglow’, a euphoric club record – both of which are included on the album alongside a further nine tracks.